No Added Sugar Concentrate Blackcurrant Soft Drink with Sweeteners, Added Vitamins and Zinc. A little splash of MiWadi can help you drink the water you need each day. 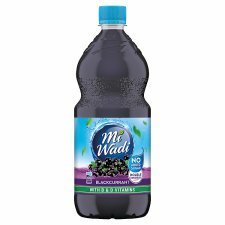 Your MiWadi Blackcurrant contains Added Vitamins and Zinc that contribute to a healthy immune system and the growth of healthy bones. This bottle contains 40 servings of 250ml squash when diluted. It is important to add extra water if given to toddlers. Makes twice as much as single concentrate dilution.